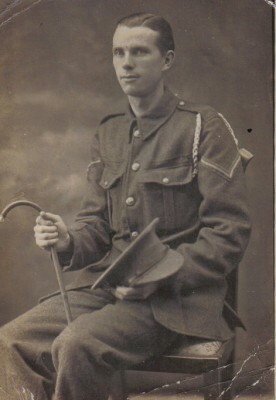 William Alley, Private K/651 of the Royal Fusiliers 22nd Battalion (Kensington) and 50589 Lance Corporal 6th Battalion Royal Fusiliers Regiment was my maternal grandfather. 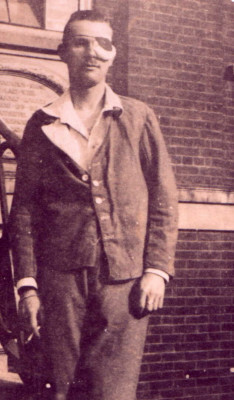 Born 17 February 1891 in West Hartlepool to Frederick Ernest Alley and Rose York. He was the eldest of five children. His birth registration has him named as Frederick William but he was known as William or Will. Both of his parents and their families were from Wiltshire. Will’s father was a boilermaker at the Great Western yard in Swindon. I do not know if it was a search for work that brought Frederick and Rose to the North. The family is located at 16 Harrison Street, West Hartlepool in the 1891 census with Frederick’s occupation listed as boilermaker. However, in the 1901 census the family are at 25 Denbigh Road, Willesden. 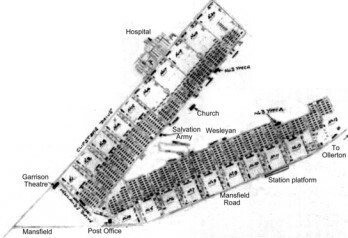 In 1911 they are living at 60 Quainton Street, Neasden and they remained in this area except for my grandfather Will. Will is working as a Salesman. After the war he was employed as Display Manager and Window Dresser in Selfridges in London. On 22 September 1914, age 23, Will enlisted at Kensington Town Hall and became Private 651 of the 22nd (Service) Battalion (Kensington) Royal Fusiliers. In October he becomes Lance Corporal but in February 1915 at his own request, he reverts back to Private. 20.7.1915 – No 9 Hut, D Company 22nd (Service) Battalion, Royal Fusiliers. Clipstone Camp, Mansfield, Notts. Please find enclosed marriage certificate. I should be glad if you will arrange for the separation allowance to be forwarded to my wife. PS Will you please return the certificate as soon as possible as I have not a duplicate. W.A. Date of disability: He states 4.2.1916. Place of disability: He states Givenchy. He states that while on sentry duty in trench at Givenchy he was shot through the mouth by rifle bullet which continued its course through nose and entered left eye. His eye was removed same day at Bethune Hospital, France. His MHS shows that his eye was removed for bullet wound same day in France. No. 654 Pte E.R. Clark, 22nd Roy Fus., is supposed to have wounded Pte Alley by the accidental discharge of his rifle in the front line trench. There were no witnesses of the accident. Present condition: His left eye is enucleated and has left a socket which is fairly healthy but is occasionally subject to attacks of conjunctivitis. RE vision = 6/36 [myopic] and with glass vision is 6/12. 11. Give concisely the essential facts of the history of the disability, noting entries on the Medical History Sheet bearing on the case. Bullet entered in an upward direction knocking out centre upper incisor. It emerged through [c…d] of nose. Entered and destroyed left eye and was finally found in his hat. 19. Do you recommend a) Discharge as permanently unfit or b) Change to England. Sent to hospital in order to receive a glass eye. Will received a military pension of 13/9d per week from the Ministry of Pensions, Royal Hospital Chelsea for 26 weeks conditional on transfer to Class ‘P’ Reserve. Cause of Discharge: Transferred Class P. Army Reserve. 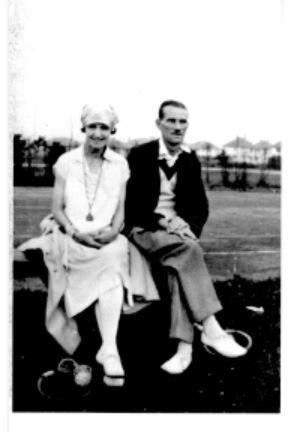 Will and Esther lived in London after they were married and their twin daughters were born in Kilburn in 1919. Between then and 1925 they moved to Edinburgh, Scotland where my mother was born in 1925. Will was then display manager and Window Dresser in Jenners, a large department store on Princes Street in Edinburgh. They lived in a small bungalow in the Corstorphine area of Edinburgh close to the zoo. During the second world war Will’s daughters joined the ATS and then the Women’s Land Army and he joined the Home Guard. My grandmother told of an incident one icy wintry night when Will was on his way down the very steep hill they lived on to meet his troop. Unfortunately he slipped on the ice and without thinking used his rifle to try and keep his balance. He arrived back home and told my grandmother “Oh Esther, I’ve broken my gun”. On another occasion a German bomb fell off course in the grounds of the zoo and Will and his troop were sent to investigate. They drove in to the grassy area and began to look around when suddenly they heard the unmistakable roar of an angry lion that was prowling around now that his fencing was no longer there.. They immediately ran back to the car, jumped in, locked the doors and huddled there until morning. My grandfather always told us that a sniper’s bullet killed the soldier next to him and then shot out his eye. Which is just a bit different from what actually happened. Perhaps he thought his version sounded more interesting. He had a wonderful sense of humour and was a bit of a prankster and joker and I remember as a child being tapped on the arm and seeing his glass eye on my shoulder with him saying “I’ve got my eye on you!” He got me every time too! Having only one eye did not stop him from doing things like driving but he did like to scare us by pretending he was using his “glass” eye to see while steering. Sadly my grandfather died much too early at age 68 on 25 October 1959. I was only 8 at the time and so feel cheated out of so many more wonderful times with him.